Mitsubishi Motors North America, Inc. (MMNA) recently announced a nationwide auction of its first Mitsubishi Lancer Evolution Final Edition to raise money for the National Multiple Sclerosis Society. The auction is currently ongoing on eBay and bidding will conclude on Nov. 21 at the 29th annual MS Dinner Auction, sponsored by MMNA, at the Loews Coronado Bay Resort in Coronado, California. Dinner attendees can still participate in the auction. The Mitsubishi Lancer Evolution showcases the company’s state-of-the-art engineering and technology. Only 1,600 vehicles of the Final Edition model will be produced in the United States, each with a unique numbered plaque. The Lancer Evolution is thought to started the four-door sports sedan genre, and its Final Edition is the most powerful mass-produced Evolution model in existence, with 303 horsepower and a turbocharged DOHC 16-valve, four-cylinder engine. Based on the current GSR model, the Final Edition also includes the company’s pioneering Super All-Wheel Control system, lightweight two-piece Brembo® brake rotors up front, Eibach springs, and Bilstein shock absorbers. All proceeds from the sale will go to the National MS Society. 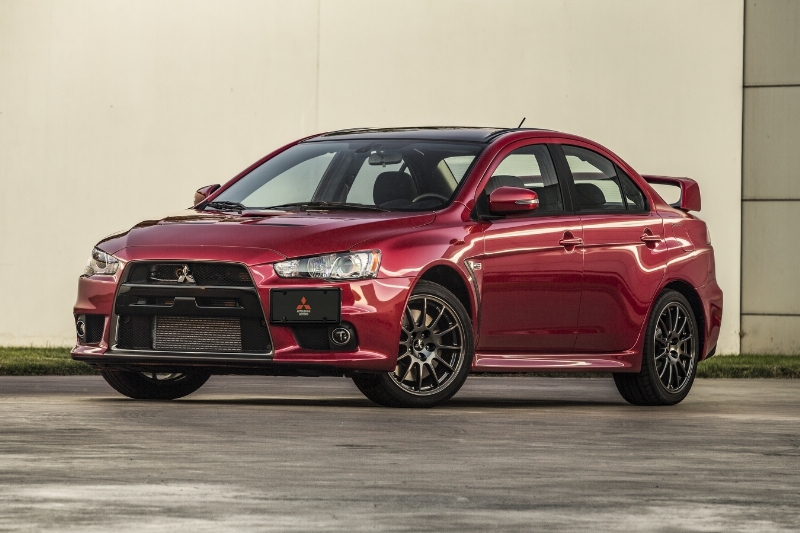 For more information on the 2015 Mitsubishi Lancer Evolution Final Edition, please follow this link. You can bid on the auction via eBay here.